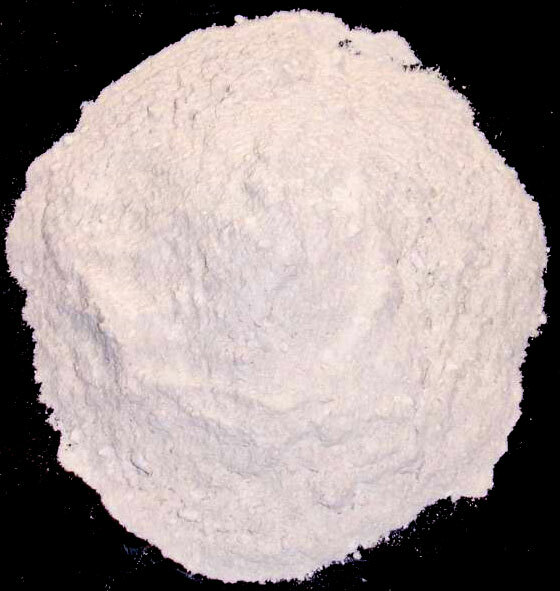 Use for paint industries,paper production,plastic prodcution,chemical production and so on. The carbonate mineral Calcite is a chemical or biochemical calcium carbonate corresponding to the formula CaCO3 and is one of the most widely distributed minerals on the Earth's surface. It is a common constituent of sedimentary rocks, limestone in particular. It is also the primary mineral in metamorphic marble. It also occurs as a vein mineral in deposits from hot springs, and also occurs in caverns as stalactites and stalagmites. Calcite is often the primary constituent of the shells of marine organisms, e.g., plankton (such as coccoliths and planktic foraminifera), the hard parts of red algae, some sponges, brachiopoda, echinoderms, most bryozoa, and parts of the shells of some bivalves, such as oysters and rudists). Calcite represents the stable form of calcium carbonate; aragonite will change to calcite at 470�C, and vaterite, or �-CaCO3, is less stable still. Calcite crystals are trigonal-rhombohedral, though actual calcite rhombohedrons are rare as natural crystals. However, they show a remarkable variety of habits including acute to obtuse rhombohedrons, tabular forms, prisms, or various scalenohedrons. Calcite exhibits several twinning types adding to the variety of observed forms. It may occur as fibrous, granular, lamellar, or compact. Cleavage is usually in three directions parallel to the rhombohedron form. Its fracture is conchoidal, but difficult to obtain. It has a Mohs hardness of 3, a specific gravity of 2.71, and its luster is vitreous in crystallized varieties. Colour is white or colourless, though shades of gray, red, yellow, green, blue, violet, brown, or even black can occur when the mineral is charged with impurities. Calcite is transparent to opaque and may occasionally show phosphorescence or fluorescence. It is perhaps best known because of its power to produce strong double refraction of light, such that objects viewed through a clear piece of calcite appear doubled in all of their parts - a phenomenon first described by Rasmus Bartholin. A beautifully transparent variety used for optical purposes comes from Iceland, called Iceland spar. Acute scalenohedral crystals are sometimes referred to as "dogtooth spar". Single calcite crystals display an optical property called birefringence. The birefringent effect (using calcite) was first described by the Danish scientist Rasmus Bartholin in 1669. At a wavelength of ~590 nm calcite has ordinary and extraordinary refractive indices of 1.658 and 1.486, respectively . Calcite can be either dissolved by groundwater or precipitated by groundwater, depending on several factors including the water temperature, pH, and dissolved ion concentrations. Calcite exhibits an unusual characteristic called retrograde solubility in which it becomes less soluble in water as the temperature increases. When conditions are right for precipitation, calcite forms mineral coatings that cement the existing rock grains together or it can fill fractures. 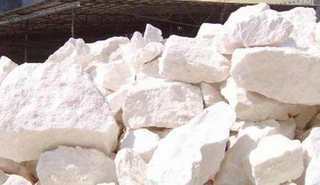 When conditions are right for dissolution, the removal of calcite can dramatically increase the porosity and permeability of the rock, and if it continues for a long period of time may result in the formation of caverns.